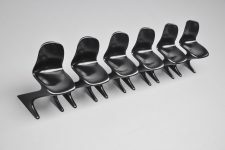 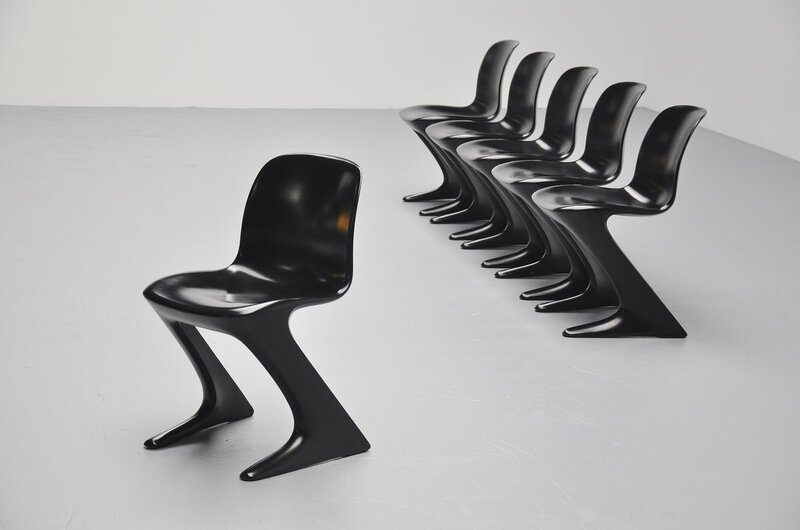 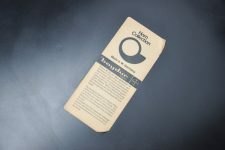 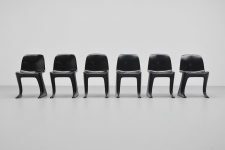 Very nice set of 6 Kangaroo chairs designed by Ernst Moeckl for Horn, Germany 1968. 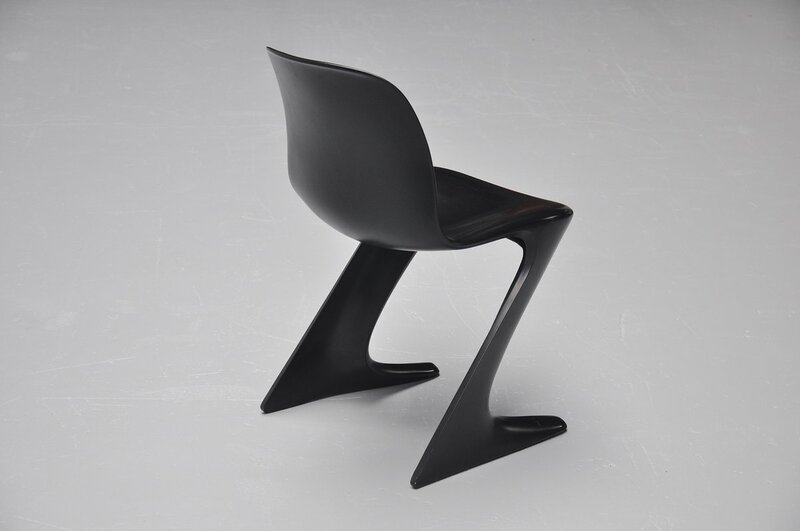 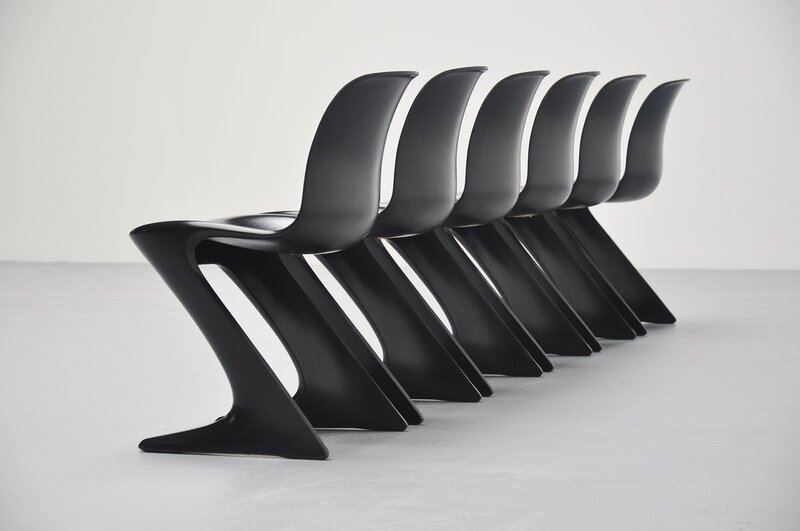 These chairs look great in black and you can see why they were called kangaroo chairs. 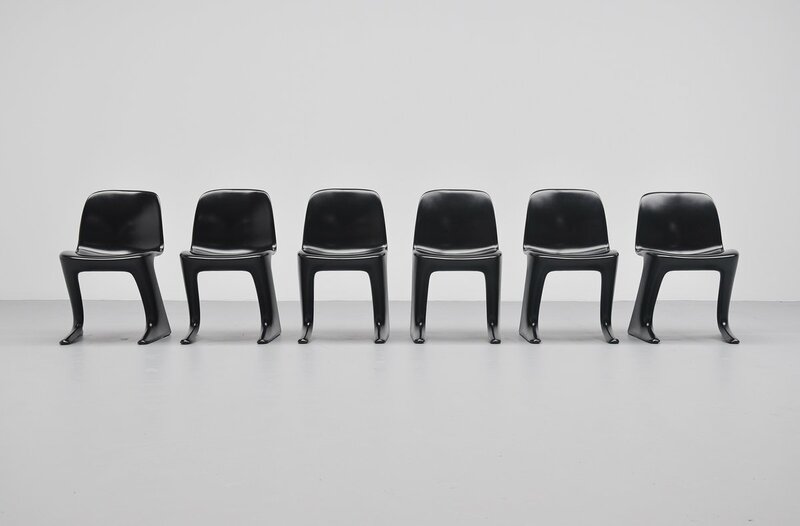 Very nice black painted plastic chairs, all marked with the Horn sticker at the bottom.